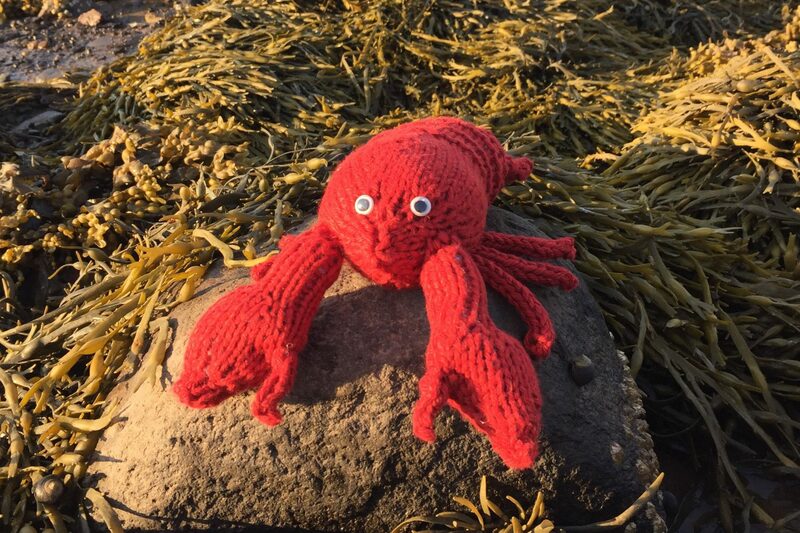 A few weeks ago a blog post by Crystal Richard about Grand Manan kept showing up in my Facebook newsfeed; it’s always fun to see how others “see” us, especially when it’s a positive experience. She also had a section of book recommendations. I figured since she had such great taste in vacation locations, I figured I’d give one of the books a shot too. 🙂 “One More Shot” was a good, easy-reading romance. While at times the tension seemed a bit contrived, it still kept me hooked. Definitely a good read. Linking up with Small Things’ Yarn Along. 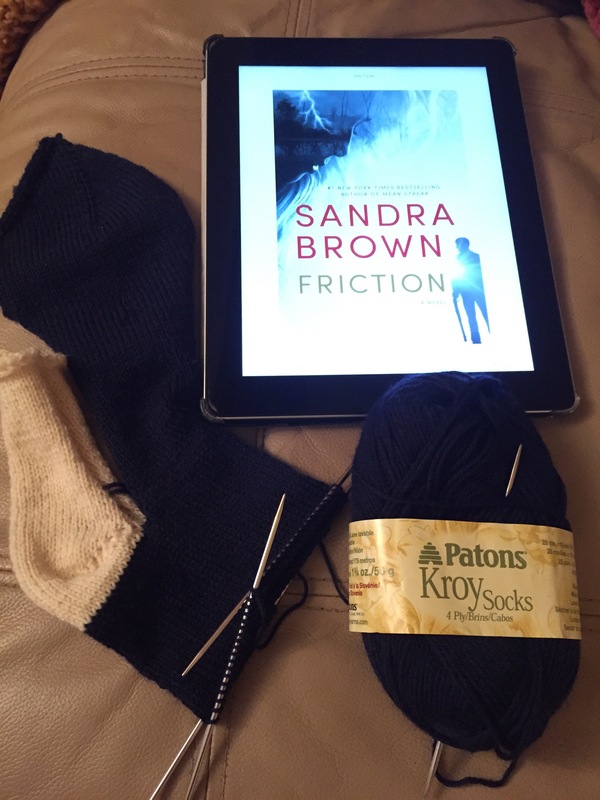 I finished the latest (at least I think it is) Sandra Brown book “Friction” over the long weekend. It was a good read (a little romance, a little mystery) with enough twists to keep my interest. I generally enjoy her books and this was no exception. Maybe it’s that the mornings and evenings are starting to be cooler and I’m not ready for summer to be over. Maybe it’s chasing a three month old puppy is harder at 40-something than it was at 30-something. Maybe it’s just Wednesday. 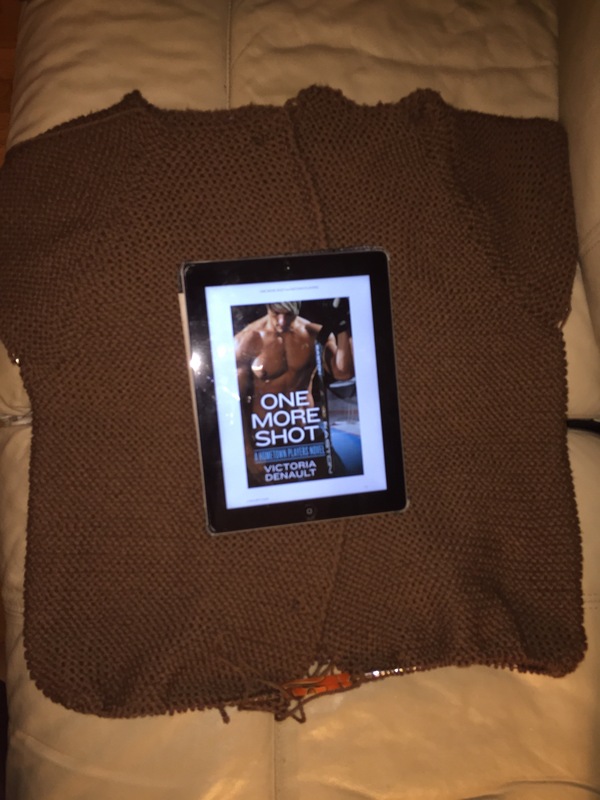 Whatever “it” is, I’m feeling “meh” about my knitting and reading this week. 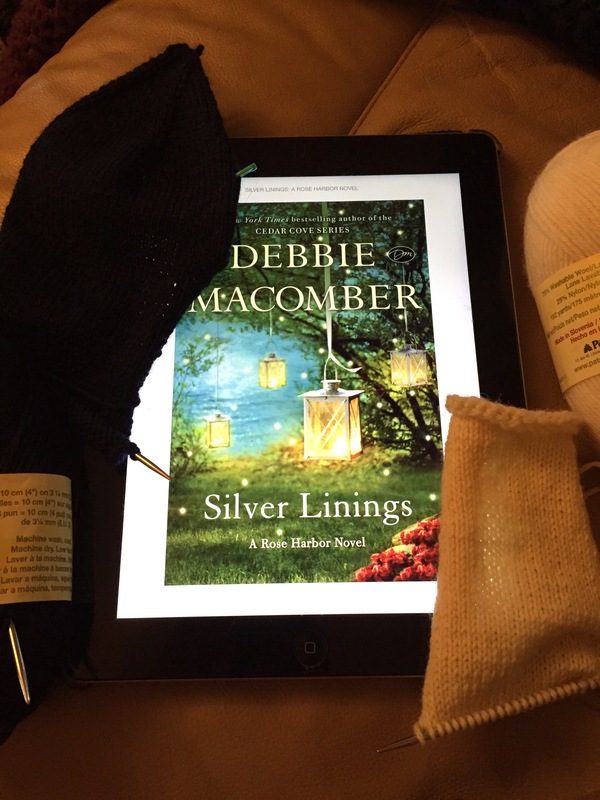 I just finished “Silver Linings” by Debbie Macomber. I normally love her books but I felt this one was just ok. (I also have a theory that you like different authors depending on your mood, and maybe my mood just wasn’t right). I’m working on a pair of shark socks. They’re going ok (I think they’ll make more sense once I join the two pieces.) The pattern is good, I’m just not quite feeling it. I’m wondering if anyone else is in a “meh” phase? Linking up with Small Things Yarn Along.